This is a live recording of the first Mass of Fr. James Fryar, FSSP. The polyphonic choir consisted of more than sixty singers, and a special Gregorian Schola Cantorum sang the Propers. The Mass was an original composition (written for the occasion) by Corpus Christi Watershed composer Jeff Ostrowski. 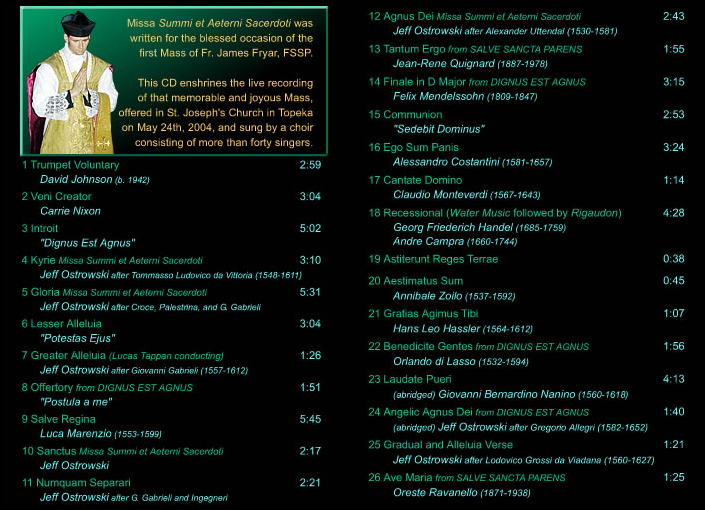 Please click below to hear samples from the CD.